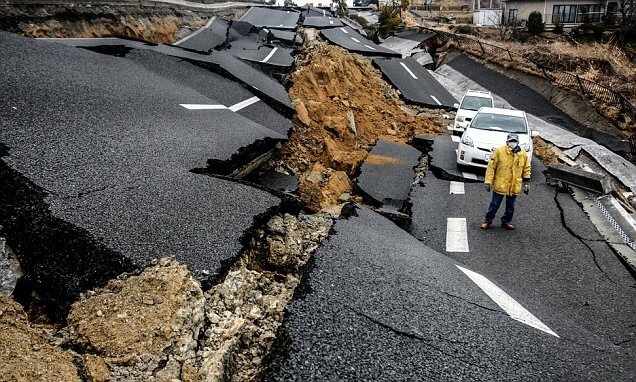 Earthquakes are sometimes so powerful they spur other quakes on the opposite end of the world. New research on seismic data from 1973 through 2016 has found that a three-day window tends to follow large earthquakes, during which other temblors are more likely to occur. While aftershocks in the same region as the initial quake are typically thought to be the only resulting seismic activity, the new study shows a ‘clearly detectable’ increase in earthquakes 5.0 or larger following the first event. Researchers from Oregon State University investigated the aftereffects of earthquakes of magnitude 6.5 or larger over 44 years of data.